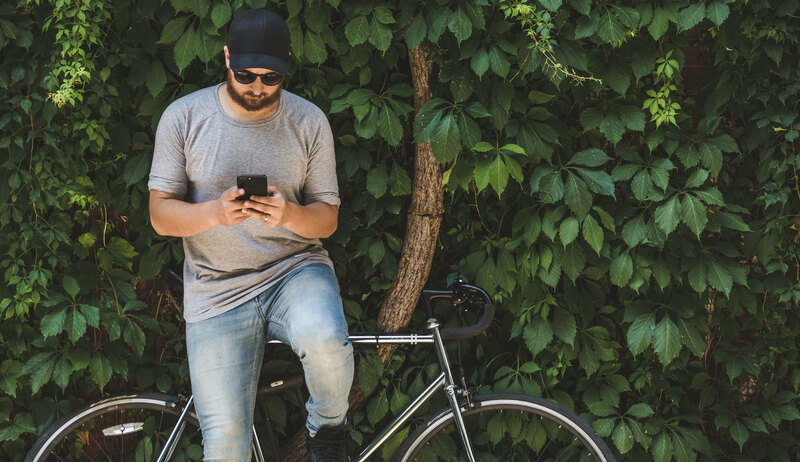 Before you send that text blast about your club’s seasonal discounted classes, make sure you are in compliance with the Telephone Consumer Protection Act (TCPA). The Telephone Consumer Protection Act (TCPA) might be the most important law you don’t know the name of. Nicknamed the “Do Not Call Law,” the TCPA requires that businesses must receive express written consent from individuals before calling or sending text messages to them. Lawsuits stemming from alleged TCPA violations have exploded in recent years. In 2007, there were 14 TCPA cases in the entire country. By 2016, there were nearly 5,000. Much of this increase can be traced back to a Federal Communications Commission (FCC) interpretation of the law in 2012 that requires express written consent before contact. Some of these cases target fitness clubs which use text messages for marketing. If your business is served with a TCPA violation lawsuit, you could face over $100,000 in legal fees before it ever reaches a courtroom. What is the TCPA and what does it have to do with my club? When Congress originally passed the TCPA in 1991, the law sought to protect U.S. citizens from telemarketing and solicitation by limiting the use of automatic dialing systems (ATDS) and pre-recorded voice messages. In 2012, the FCC ruled that the TCPA requires prior written consent in order to contact someone. Lawsuits for lack of consent are affecting every industry, including health clubs. Other lawsuits allege the sender used an automatic dialer (ATDS) in violation of the TCPA. Numerous users of one SMS-marketing platform have been sued for violating the automatic dialer ban, despite at least one U.S. District Court ruling that the platform is not an automatic dialer. What if I only contact people who gave me their number? The TCPA requires that businesses must receive express written consent from individuals before sending them text messages. 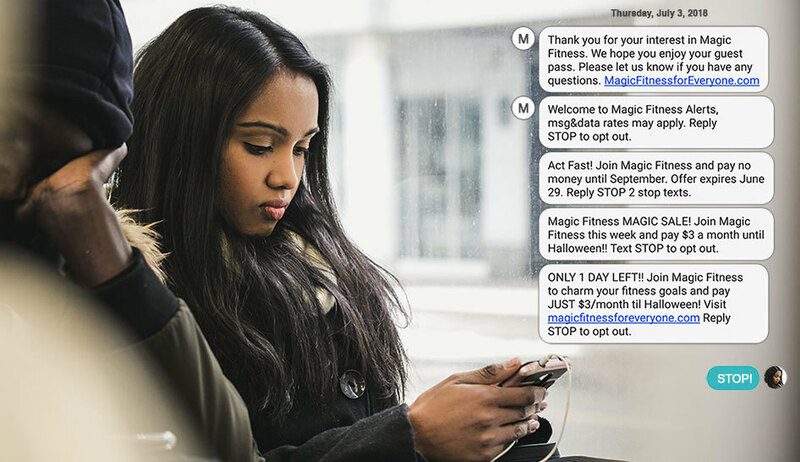 Many marketing text messages that have resulted in lawsuits were sent to people who signed up for a single-day pass or free trial through a club’s website. One might assume that sharing a phone number during a business exchange (such as enrolling someone in a free fitness pass) would constitute an “established business relationship" under TCPA, but obtaining a phone number does not constitute permission to contact someone. It’s important to take note of this, and incorporate consent into all your enrollment forms. How can I protect my club? If your business engages in any text message or phone call marketing, review your practices with renewed scrutiny. Some defendants have sought relief from their insurance companies, but unfortunately TCPA lawsuits frequently exist in an uncovered gray area. Two TCPA lawyers encourage business owners to be proactive in talking with their insurers, requesting coverage or adding a specific rider to their policies, explicitly covering TCPA lawsuits. Most importantly, if you, your employees, or independent contractors communicate with clients or potential clients via text message, you should request all clients and potential clients sign their consent to be contacted, through either an individual form or contract clause (including on your website). These forms should be updated as new technologies are introduced and integrated into your marketing strategy. The contract must explain how the person can stop receiving the messages and how they can revoke consent. In order to keep up with those who have not given or have revoked their consent, keep an up-to-date internal do-not-call list to avoid contacting those who have opted out. Do not let your club be accused of violating the TCPA. The legal fees associated with taking these suits to trial could force you out of business before the trial is even complete. Settling these cases to avoid trial often results in over a million dollars in damages. Integrate consent language into your website and forms now if you use or intend to use text messages and phone calls for marketing purposes. If you have any questions about this or other legal issues your club may face, please contact IHRSA.